December update GlobalOwls. How Blogging and SEO help to increase our website traffic and gain exposure. In this update, we’ll show you how we’ve increased our website traffic to almost 6k monthly visits and how you can too. 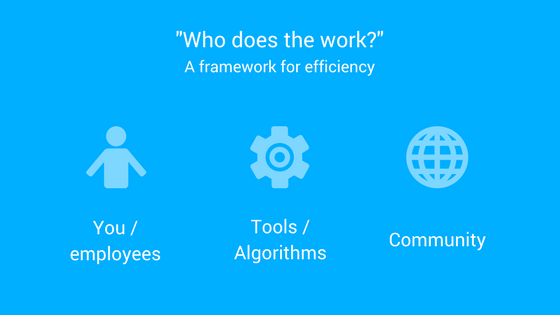 We’ve also included a pro tip at the end: “Who does the work?” A framework for efficiency. Let’s kick it off with some graphics! In our fourth month, we’ve received 5881 web sessions (own ip-address excluded), 5200 new visits. 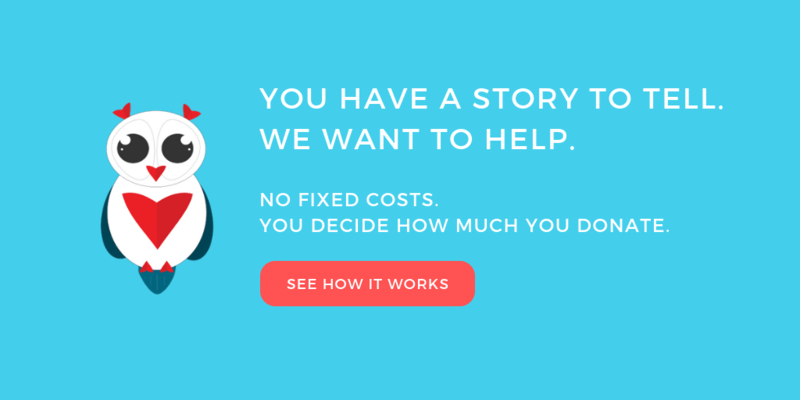 A big chunk of it is thanks to our blogging strategy. The great thing about blogging is that you can tell different stories but still attract your core audience. 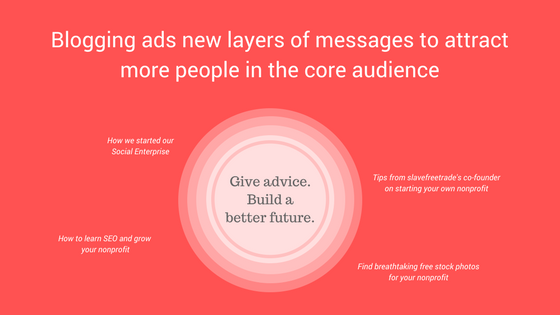 Nonprofit Marketing (readers might be interested in receiving 0ne-on-one advice from our community). Starting their own Social Enterprise (readers might be interested in getting our help to kickstart their journey). Reading inspirational stories of founders (readers might be interested in sharing their own story or giving advice). Our vision (readers might be interested in joining our cause). If we were to ignore blogging, we would only be sending messages about our vision. This is what we do. This is why you should join our cause. This has a lot of limitations (see picture below). This is how it looks like if we were to add indirect messaging (see picture below). I can already hear you say: “but this means we would need to spend precious resources into creating quality content“. Let’s dive into the pro tip. Yourself or employees being the least efficient and community being the most efficient. That’s why large platforms like AirBnB, Facebook, Etsy, etc. are so great at scaling their content creation. 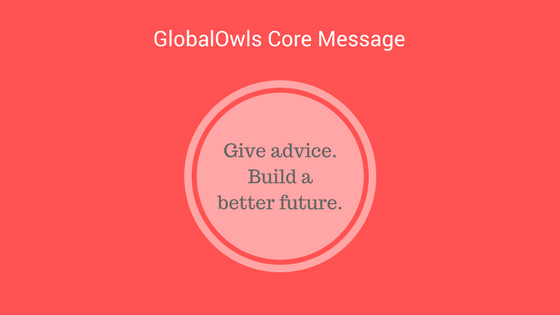 At GlobalOwls, we foster the immense power of our community. We believe that with our combined efforts and win-win-win scenarios, we can help thousands of organizations committed to doing good and millions of people and animals. Professionals help us to give advice to these great organizations. Professionals write blog posts to teach nonprofits how to become more effective with their digital channels. Founders of these great organizations share their stories and educate others that want to start a nonprofit or social enterprise. Back to the framework of efficiency. Creating content can be very time consuming for the founder or employees, tools and algorithms can only help so much in this particular situation, inspiring the community to create highly valuable content is by far the best way to go in my opinion. I too write blog posts. But that’s more because I like writing and sometimes I want to share something very specific. And many more. It only costs us a few minutes to publish them instead of hours to create them and we get the help to distribute them. The win for the contributors? We promote their work, they receive more traffic, SEO benefits and more. Now. After you’ve published a piece of content. Please don’t just share it on Twitter and LinkedIn once and think that if it’s good enough, people will tell all their friends and colleagues about it. It’s just not that simple. I find it fascinating how, for instance, Brian Dean has more than 100k people visiting his blog every month and yet, he sometimes writes me and other emails to promote a piece of content he’s created. On the other hand, people with just a handful of readers take almost no effort in promoting a piece of content and saying the blog post was bad or that blogging altogether doesn’t work. Good SEO takes time, but it’s well worth the effort. Ahrefs’s Marketing Manager, Sergey Aliokhin, recently published a detailed guide on how to learn SEO in 2018. Be sure to check it out and to invest some time in learning the basics. Blogging and SEO go really well hand in hand. Looking forward to hearing your wins and ideas in the comments below. Also be sure to subscribe to our mailing list if you haven’t already done so.